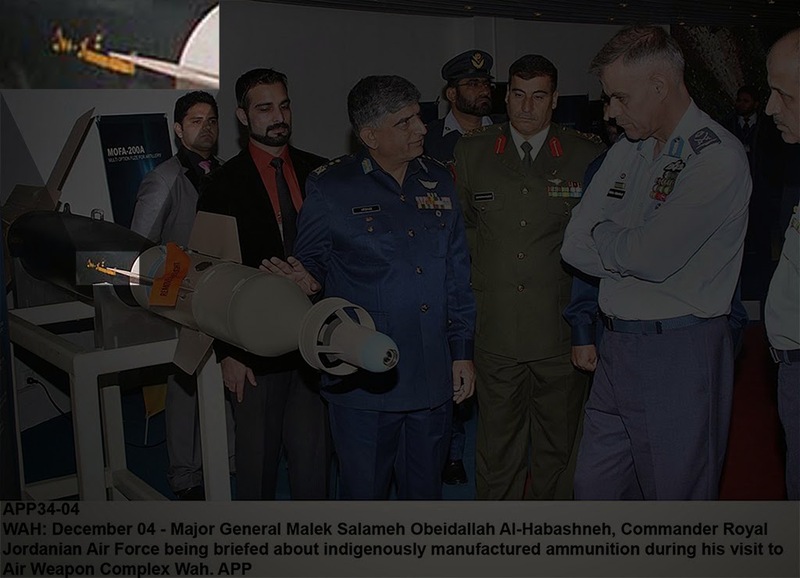 Military Photos and Photoshops: A new Local Laser Guided Bomb for Jf-17 Thunder ? On Jordainian Air Chief's visit to Air Weapons Complex, Kamra , Pakistan , a new bobm is on display which looks like a GBU-12 Enhanced Paveway II laser guided bomb, but on its body looks like a marking in Urdu/Arabic. Is it a new Locally produced Laser guided bomb for Jf17 Thunder ?